October's club competition is being held at Lucky Bucket's tasting room. 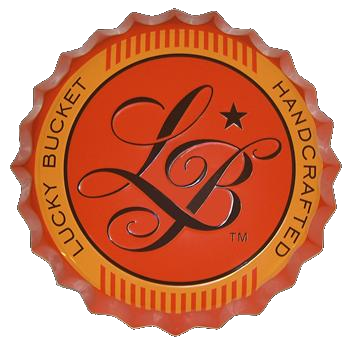 This will be our first time hosting an event at Lucky Bucket so we are very happy to add another brewery to our list of hosts. (Correction, this is our second event at Lucky Bucket. It's been quite a while since the last time though!) Food isn't served there so be sure to grab a bite to eat on the way to soak up the beer goodness you will be sampling! Our themed (and prize-eligible) competition entries by RRBC members will be "From the Garden." This is a very, very broad category which includes any beer with fruit, vegetables, herbs, or spices. If you don't have a brew that fits this category or you're not a RRBC member, the Best-Damn-Beer competition is always open to ANY beer style as well as any brewer whether you are a RRBC member or not. A reminder to those who would like to bring beer to the competition for the first time; bring either a growler, a six-pack of 12oz bottles, or 2-3 bomber bottles.